You’ve been advised to purchase a new dishwasher. What new features are important to you? Pots, dishes, and baking sheets come in all different shapes and sizes and your dishwasher should be able to accommodate them. Look for a model with adjustable racks so that you never have to soak and scrub again! Wine glasses and other delicate items require special racks so they are secure inside the dishwasher. Look for these in your next model to lesson the risk of breakage. 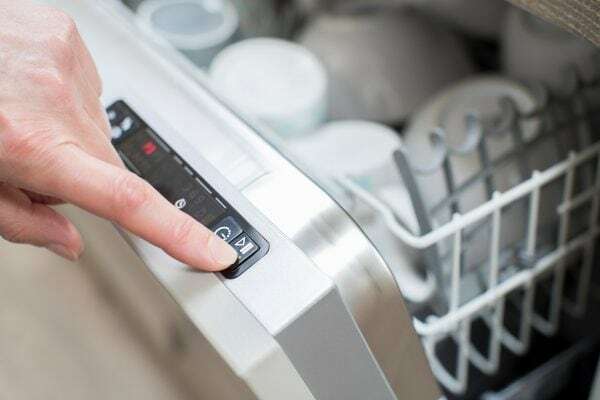 Chances are you prefer to run your dishwasher at full capacity to be more energy efficient. But did you know a “half-load” option exists? This option is perfect for those nights when you dirty only a few dishes but don’t want them to sit overnight while you wait for the racks to fill up. You can improve energy efficiency further with a soil sensor, which adjusts the amount of water and length of cycle based on how dirty your dishes are. Stainless Steel Interior for greater durability. Sure, plastic interiors cost less than stainless steel. But they stain, warp, and crack. For greater durability and less appliance maintenance, consider a stainless steel interior. Explore whether the new model includes special settings that allow you to vary the intensity of the wash depending on the items you want to clean. For china or crystal, for example, you want a delicate cycle. But sometimes you’ll want extra hot water for heavy duty jobs. A model that includes more settings outside of the basic light, normal, and heavy will provide greater versatility. Another useful feature to consider is a rinse/hold setting, which allows you to rinse a partially filled dishwasher so that particles don’t become lodged on the dishes and utensils. Bottle-washing jets were designed specifically for narrow-mouthed bottles. You want to be sure your bottles are getting scrubbed and rinsed, and this special feature will do the job. Consider calling a trusted expert to assist you. At Don Bacon, we provide a thorough assessment of your appliance’s current condition and life expectancy. Depending on the cost of appliance repair and the age of your dishwasher, replacing the unit may be a viable option. We’ll provide you with the information you need to make the best decision possible.